I am not a Smallville fan. As odd as that may be to say when beginning a review of the Smallville review, it’s the truth. I have watched a handful of episodes (three of which were written by Geoff Johns), and all my interactions with the show have pretty much been by proxy. I am only really able to piece the story together based on what I’ve read on Twitter, what I know of Superman’s history, and just generally knowledge of stereotypical trope-based storytelling. It’s with that in mind that I watched the two-hour series finale regardless. In a manner of speaking, it’s basically like watching a made for TV movie about Superman becoming Superman, right? Given all that I know about Superman, I couldn’t imagine that it would be that hard to just watch it and get it. Sure, I won’t be able to speak about the evolution of the characters in terms of the character growth between seasons, but I can still discern the story elements objectively from an outsider perspective. 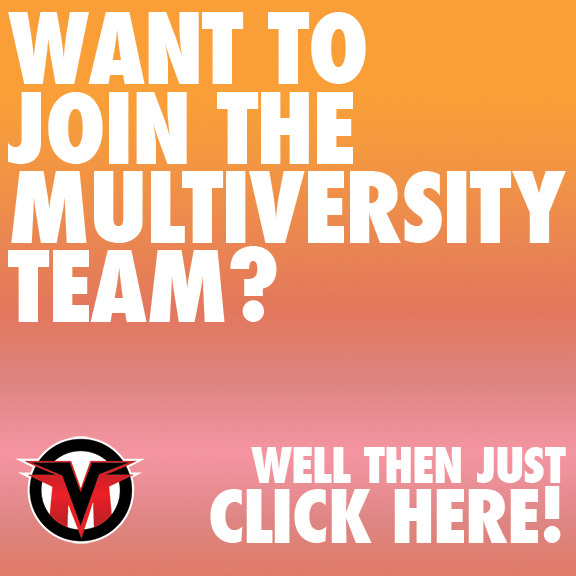 So let’s take a look at the finale of Smallville after the cut. Smallville is a show that, for all intents and purposes, should be really great. Telling the story of how Clark Kent grew up and became Superman over the course of several seasons is a story that when handled by people who love comics should be an engrossing serial. From what I understand, the first few seasons of Smallville were just that – an engrossing tale of high school dramatics … that apparently just went on for far too long. As the audience grew up and the show evolved, eventually people wanted more from the title than it originally offered, and while the producers of the show did their best to keep up with the high demands, I guess it all got lost, because from the complete outsiders perspective, the finale had no real idea what it wanted to be by the time the show ended. 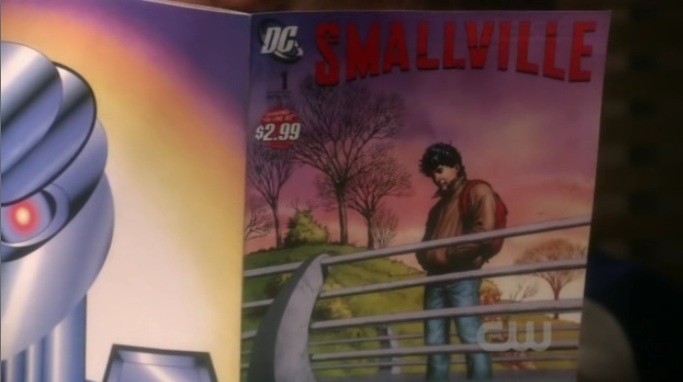 From all of my experiences with the show, I always got the impression that Smallville was just very confused. Coming out in a time where teen dramas were at a particular high, especially those set in high school, it doesn’t appear that the show ever got out of the previous mentality that it had. While the characters grew up and left Smallville, moved to Metropolis and became big, important city folk, the show itself still plays like an incredibly stereotypical teen drama as made famous by 90’s hits like 7th Heaven and Dawson’s Creek. The thing is, once the characters weren’t in high school, the high school behavior stopped being endearing. How many seasons did Clark spend second guessing himself, trying to be a hero and posing as “the Blur” before, in the span of two hours and a lackluster villainous battle for the fate of the planet, he accepts his destiny? The answer is “too long.” It’s one thing for him to be a bit unsure of himself for a little while, but even I can tell – given the amount of time the episode takes to get to the point – that the biggest thing holding the show back was it’s inability to just accept and embrace the destiny that is Superman. I suppose that is inadvertently the point. This isn’t the story of Superman, this is the story of Clark Kent. The second that he becomes Superman, the episode ends, with destiny having been fulfilled and the show pointing you in the direction of the comic books for all the further stories that you need. However, I get the impression that taking ten years to get to this story was a bit far to much. Perhaps if Smallville was far more condensed to the point that it ended when Clark went off to Metropolis, the whole thing could have been far more believable. Watching just this two-hour show, with the amount of time Clark spent moping and trying to realize his potential, even I was left a tad bit bored by the second-guessing nature of it all. That being said, it’s not that bad of a finale. When you look at it as a two-hourish movie about Superman’s final days as Clark Kent, it’s really rather sweet in a way. The interactions between Lois and Clark are all very well done, really emphasizing the fated love between the two as the two star-crossed lovers try to be together yet continuously come against roadblocks of various designs. The wedding itself is a nice sequence of events, really playing up the emotional aspect, and Tom Welling and Erica Durance have onscreen chemistry that I can only assume has blossomed over the course of the show more than I probably realize. The show continues it’s out-dated oddball move to have a feature length running soundtrack, which can really offset the balance and pace of the show, but in most of the Welling and Durance scenes, it plays out really nice. 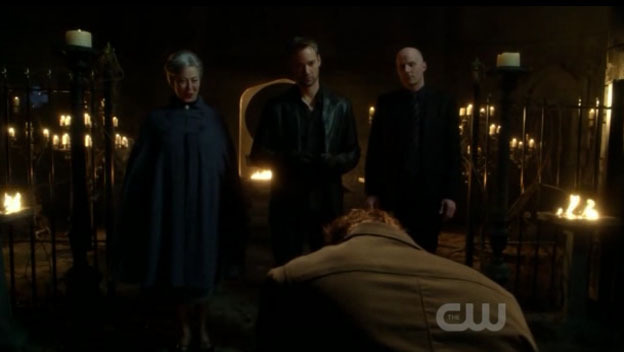 While most of the characters end up feeling secondary throughout the course of the episode, there’s still some great performances by the return of Michael Rosenbaum as a Frankenstein of his own making, as well as the villainous John Glover. That and all the nods to the real mythology of Superman – especially the John Williams theme playing out at the end – offer up a nice solid tale of Clark Kent’s last days. Of course, the story still has a lot of issues. The big tease throughout the season was the fight between Superman and Darkseid, and while Apokolips does show up in the episode in rather colossal detail, the show absolutely cheaps out in the climax. 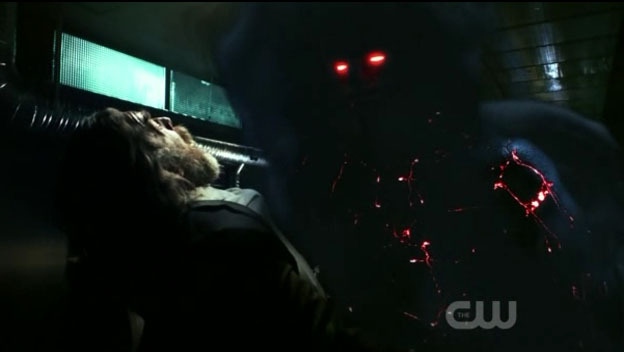 It appears Smallville decided to go the Rise Of the Silver Surfer route and portray Darkseid mainly as a cloud, rather than create a big suit or CGI creation for Tom Welling to fight. It’s actually incredibly disappointing, as the entire episode teases up to this point, and I can only imagine how much the entire season has teased this confrontation. Instead, Superman fights the possessed body of Lionel Luthor for an entire five minutes, 3 of which are flashbacks to other seasons and 1.5 of which is Lionel/Darkseid talking smack. I can honestly say that a large part of the appeal to me for watching this was to see a live version of a battle between Superman and Darkseid, which is something that I fear I might never get to see in a feature film. Being given the same bogus treatment I got for Galactus is rather disheartening. That and the entire finale of the episode, in which Superman manages to defeat Darkseid by just flying through him before lifting up Apokolips and throwing it in zero gravity just seem like complete nonsensical balogna, even in the realm of the super heroic. For a long time, I had considered watching all of Smallville once the show wrapped. I figured that, watched in one take, the show could probably be a lot better. As I watch the finale and see the commentary from people that actually have watched the whole show, I get the strong impression that it’s not worth it. The finale to me was a decent enough way to watch something while multi-tasking, but it’s not the kind of show that really needs re-watching, or really initial watching. It’s just an anti-climactic love story in which two attractive people manage to get together. I’m happy for these two attractive people managing to get together kinda sorta, but the show doesn’t end with the same emotional impact that any given comic book story starring the two lovebirds have had. This is just a goofy way to end out a show that had definitely run far too long. I guess it depends on how attached to the show you are. For some, I’m sure this was a tearful finale, with one character dying and the main hero finally accepting his destiny. For others, this was just a very over-the-top drama trying to be more powerful than it was and just missing the mark. 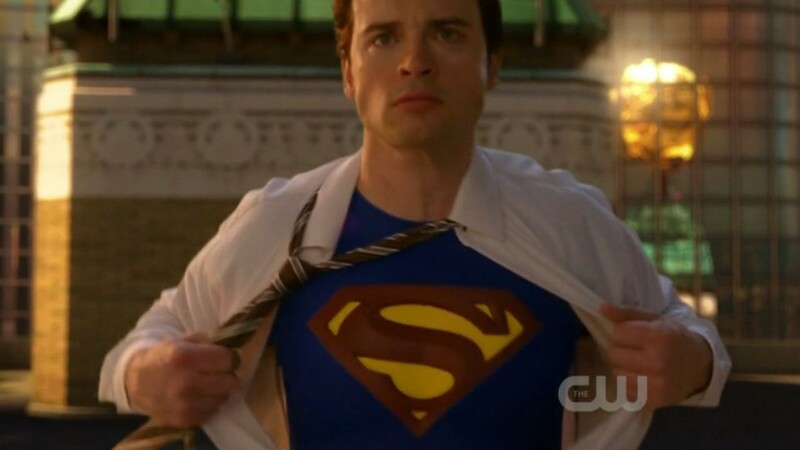 Smallville could’ve been a long running and great story in the same vein as Buffy, but despite the sprawling cast and vast DC Universe of characters to work with the finale just falls short, ending with Tom Welling just flying through a scraggly old man and calling it a day. I suppose that’s just as poignant a metaphor for the two-hours as anything. Credit where credit is due, though: Smallville managed to go six seasons more than Heroes did, and it has a lot of the same inherent faults. That has to say something. I don’t know what, but something.